The parade route begins at 10th Ave and runs down Memorial to the fair grounds! FARMERS MARKET NOTE: You can still get your fruits & veggies…The Farmers’ Market will be set up at the Stewart Williams Furniture parking lot for the next two Saturday’s. Monday – Thursday – Senoir Citizens Nights – FREE ADMISSION with canned food item. 2 – 4 P.M. Remove exhibit entries from building and collect premiums. Click here for 2013 Coloring Contest Rules and Entry Form. Know someone who is 20 – 99 years old and has talent – singing, dancing, playing an instrument? 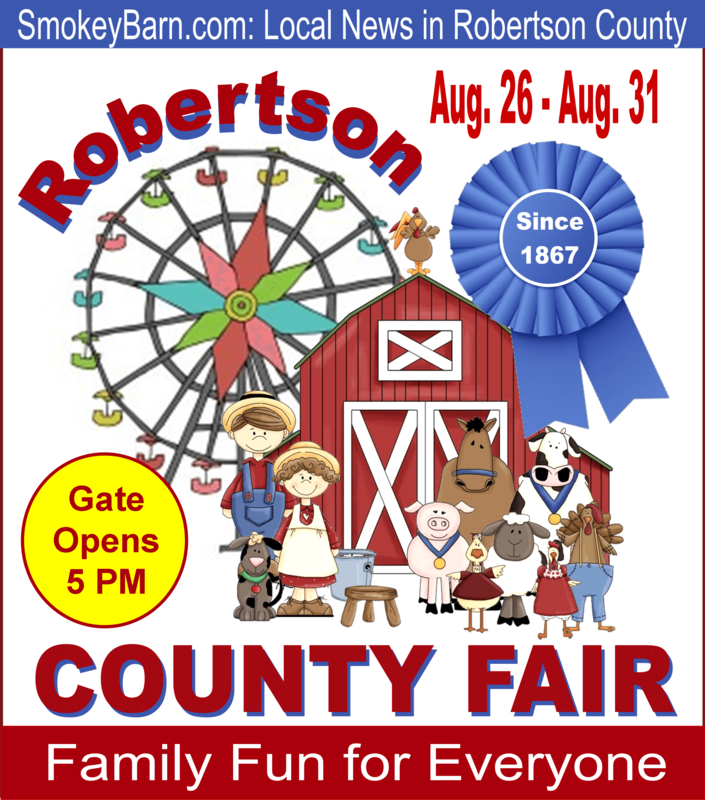 Enter the Robertson County Fair “got talent?” Show – a first time event at the fair to be held on Friday, August 30. There is no entry fee other than your admission (which is half-price when you turn in your registration form). First prize is $100. Pass this along to someone you know. Rules and Applications available at the UT Extension and online at HERE – due Friday, August 23 – DEADLINE EXTENDED UNTIL WEDNESDAY, AUGUST 28. Looking for family friendly acts of all kinds!